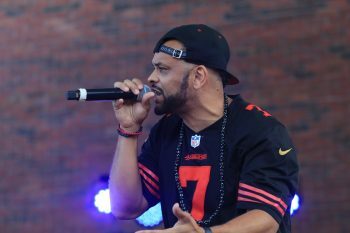 Tem Blessed is a socially conscious Hip-Hop Artist that has been making relevant music with a message for over ten years. Born in Guinea-Bissau, West Africa to Cape Verdean parents, Tem currently resides western Massachusetts. His music and message is about social justice, sustainability and climate change and is designed to inspire the audience towards positive change and global responsibility. Tem Blessed always reminds the audience that this Generation needs to take action, by finding their passion and using that drive to inform, educate and inspire others to be part of the solution to climate change and other social justice issues.